I'm a big believer in redundancy. Which includes having a backup or redundant email sending service. The easiest is usually Gmail. 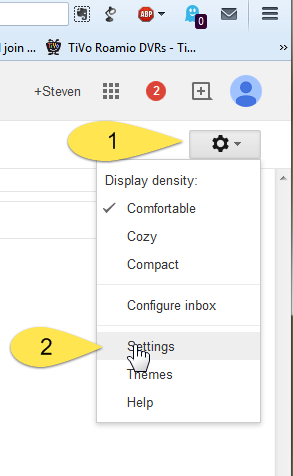 Setting Gmail up to be able to send out email for you, gives you an option if something happens to your normal email service, or you are out of town and can't establish your connection with it. Email servers go down sometimes, just like anything else, but your need to send mail may not go down with it. So setup a backup email sender. This is not useful if you use your Browser to login to Gmail or another webmail service and get your mail. 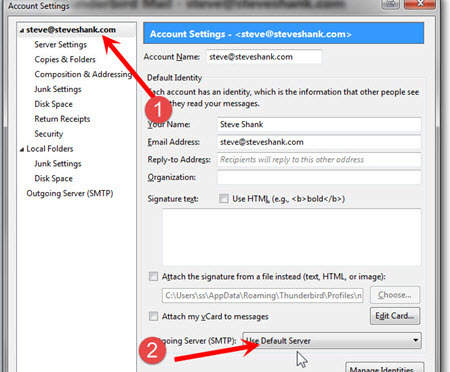 It is useful if you use Thunderbird or Outlook or some other local email client to send and receive email on your local computer. POP is used when you pick up your mail from your ISP and work with entirely on your local computer. IMAP is used when you want the server to hold all the email for you and your local computer just logs in and looks at it. If you aren't sure which you use, then perhaps I should set this up for you or we can discuss which method will fulfill your needs better. I'll use Thunderbird as an example, but any good email client will work pretty much the same. Fill in the form that pops up. Description is just for you to know what it is. 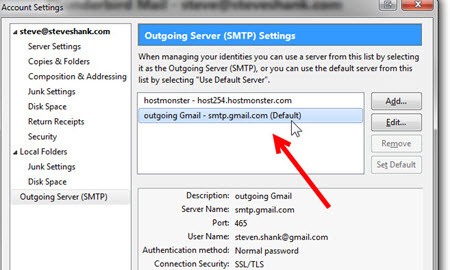 The server name must be smtp.gmail.com because that is the server name at Google that sends mail for people. The Port you use is the one Google is expecting for secure email. You want SSL/TLS to send your email encrypted to Google. The Authentication method: is normal password. Google has to make sure you have an account and some spammer isn't sending mail through your account. The User Name: is your full Gmail address. 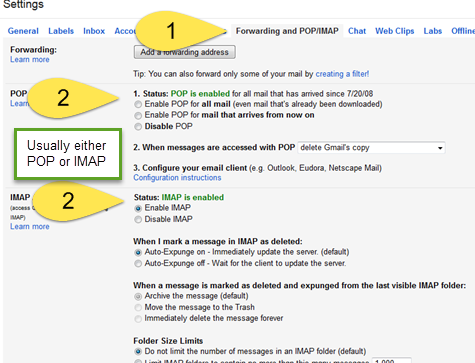 Notice that you can set either of your two SMTP servers to Default. Thunderbird is setup to allow you to manage multiple accounts; each could use its own sending server. Instead of that, most people (not all) will be happier just using a single sender for everything, so make sure your email account(s) are set to use the default email sending service. 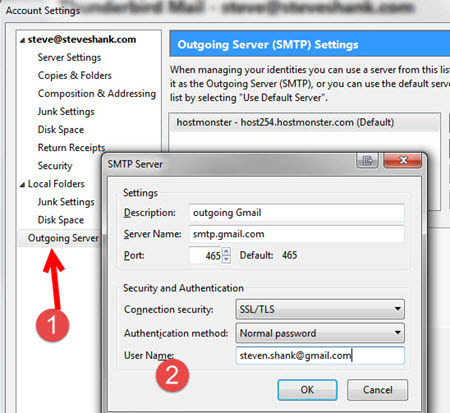 If you set your email to always use a particular server, you'll need to change each one instead of just the default. So, in your account settings, select the main section on the left for the account you want and then make sure it is set to use the default, not overriding the default with a particular selection. Gmail may send an authentication email to you which you'll need to acknowledge. Now you can simply change the default to use a different sending service.